Apply online application to DMRC Recruitment 2018 1985 Executive / Non-Executive. Delhi Metro Rail Corporation Limited (DMRC) Recruitment Board, latest notification for Assistant Manager / Electrical, Operation, Fire, Stores, Environment, IT, Junior Engineer (JE) – Electrical, Electronics, Mechanical. Applicants can get full advertisement below and submit the DMRC online application at www.delhimetrorail.com. 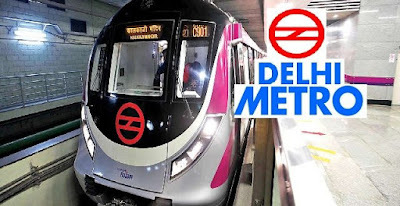 Applicants who are going to apply, ensure DMRC job that you are eligible for post of Assistant Manager / Electrical, Operation, Fire, Stores, Environment, IT, Junior Engineer (JE) – Electrical, Electronics, Mechanical. The applicants will have to apply online, no other option. The last date of submitting online application is 26.02.2018. DMRC notification further information such as eligibility criteria, syllabus and how to apply etc. listed below. BE / B. Tech Degree in Related Post with 60% Marks. Master Degree with Mass Communication and Journalism with 60% Marks and 2 Year Working Exp. Bachelor Degree in Law (LLB) with 50% Marks. Bachelor Degree in Any Stream BA, B.Com, B.Sc. Pay Scale- Rs.14000/-Rs.26950/- per month. How to apply: Eligible applicant require to apply online through DMRC Recruitment 2018 website www.delhimetrorail.com from 26.02.2018. 1. Candidates are required to apply online through website www.delhimetrorail.com only. No other means/mode of application will be accepted and there shall be no need to submit any hard copies of the uploaded documents. 2. Candidates are required to have a valid personal e-mail ID and valid mobile number. It should be kept active during the currency of this recruitment process. In case a candidate does not have a valid personal e-mail ID, he/she should create his/her new e-mail ID before applying online. Under no circumstances, he/she should share/mention e-mail ID to/of any other person. 6. On Successful Completion of registration an application sequence No. and password will be generated. (User id & password received on your e-mail and mobile number). 9. Applicant will be redirected to payment gateway post submission of application form. After successful transaction a payment acknowledgment slip (with unique application sequence number, transaction ID, applicant name, category, exam fee and post applied form) will be generated and should be downloaded for any future communication regarding application form. Applicants have great chance to get jobs Delhi Metro Rail Corporation Limited (DMRC) Recruitment, however if someone want to ask anything please comment below.